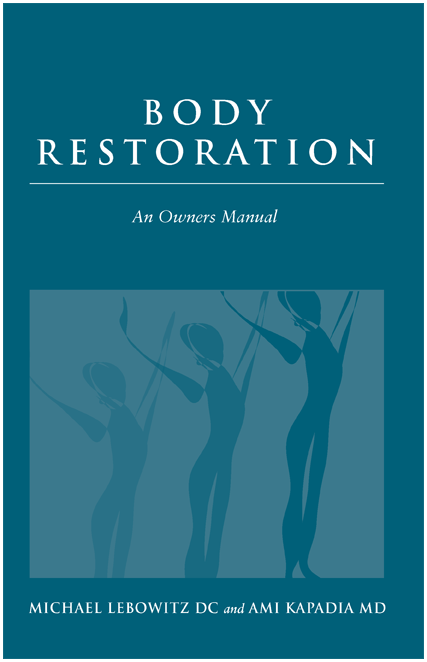 Body Restoration is a book based on over 30 years of nutritional research and working with patients with chronic illnesses unresponsive to traditional western medicine. Its goal is to assist the alternative physician in educating their patients about the underlying causes of illness as well as give the patient complementary techniques they can use to aid and speed recovery. It also helps the lay person without an alternative physician gain valuable information to start the process of Body Restoration as well as gives the western physician an introduction to functional medicine. Dr. Lebowitz and Dr. Kapadia share their knowledge based on their patients and their own personal journeys as you learn about food "allergies", toxins, toxic metals, fungi, parasites, etc. as well as the role each organ plays in the body. They discuss how all of these factors are inter-related and can lead to a chronic state of unwellness. By identifying and addressing the root causes of illness that are discussed, it is possible to restore the body and achieve a greater sense of well-being.